Google's approach is to foster creativity and cooperation in the pursuit of a common goal: creating the world's best search service. In doing so, we have developed strong revenue streams enabling us to attain profitability in a competitive marketplace. While developing services to be used by millions of people daily, you'll enjoy challenging projects and a unique work environment. Are you able to truly understand and articulate your clients' needs? Are you creative, flexible and ready to serve Google's customers through innovative advertising programs? We're looking for strong individual achievers who put their talents to work in a team-oriented environment and share our commitment to providing the highest level of service to our growing base of users and advertisers around the world. Are you a great communicator? 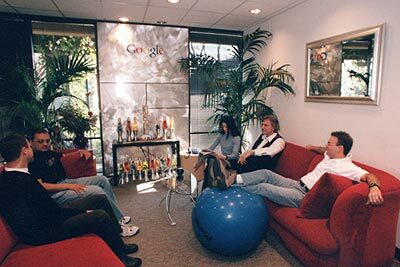 From international politics to business and technology leadership, Google is often in the public eye. Help us make sure we're always accurately represented and clearly understood. You'll never spend a boring day at Google or face the same challenges two days in a row. Do you believe strong brands are more about user satisfaction than funny TV spots? Google's approach to tackling marketing challenges parallels our approach to solving search problems—we always put our users first. If you enjoy quickly developing creative solutions and take satisfaction from implementing them instantly, join our effort to build a brand that's known for delivering what it promises. Want to claim new territory for Google? We are expanding and so are our facilities. Help us keep our workplace a model of efficiency, comfort and fun. We're looking for bright, experienced, energetic individuals willing to apply their creativity and skill to keeping the Googleplex and our international offices up and running. Is your mind on your work, but the rest of you itching to be somewhere else? Can you explain keyword advertising in a language other than English? 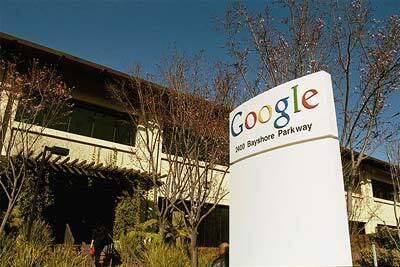 Google is growing rapidly in markets around the world and needs your help to repeat the success we've found in the States. If your business experience extends beyond the borders of the U.S., consider joining Google's expanding international group. Do you know a lot of great people? Know where to find more? Are you excited to shape one of the most revolutionary work environments in the world? We need your help attracting top talent and making sure Googlers are the happiest employees around. Join our enthusiastic team in growing a company that's changing the way the world finds information through innovation and a corporate culture unlike any other. Are you a superstar when it comes to communicating at all levels of a growing organization? Do you like to work behind the scenes to help your team achieve their goals and objectives? Are you great at managing multiple projects simultaneously? We need bright, organized, energetic, and dependable people to help us accomplish great things. Join us and make an immediate impact on a service relied upon by people around the world. Do you enjoy taking businesses apart and putting them together in more interesting and efficient ways? Do you think strategically about entire industries? Do you visualize org charts in three dimensions or more? We're looking for analysts and structural strategists to keep Google on the path of organizational innovation. If you see the kind of company Google has the potential to be, help us find the way to get there. 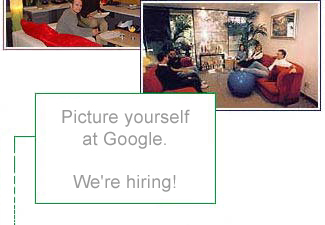 Google seeks to hire only the best. We conduct business following the spirit and the intent of the equal opportunity laws and we strive towards maintaining a diverse community. We encourage excellence at all levels in our organization. Google is an equal opportunity affirmative action employer.